A manual lens needs to be focused manually; Think again! The Fotodiox Pro PRONTO adapter brings autofocus to your Leica M-mount lenses. 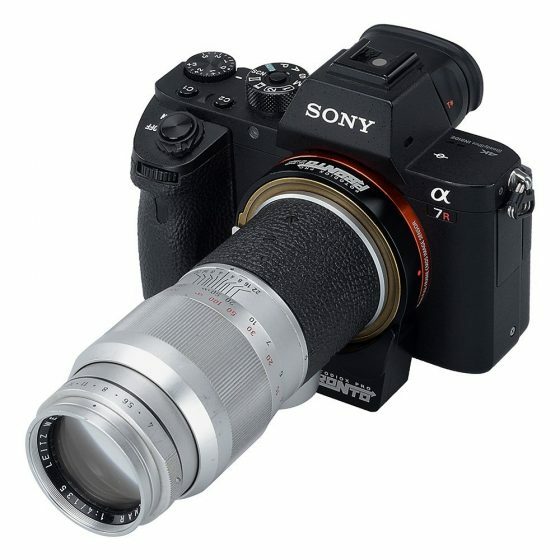 If you want to automatically focus your M-mount lenses on your Sony e-mount camera just attach it to the PRONTO adapter. For general use, it is recommended that the lense be set to infinity focus allowing autofocus within the entire focusing range of the lens. 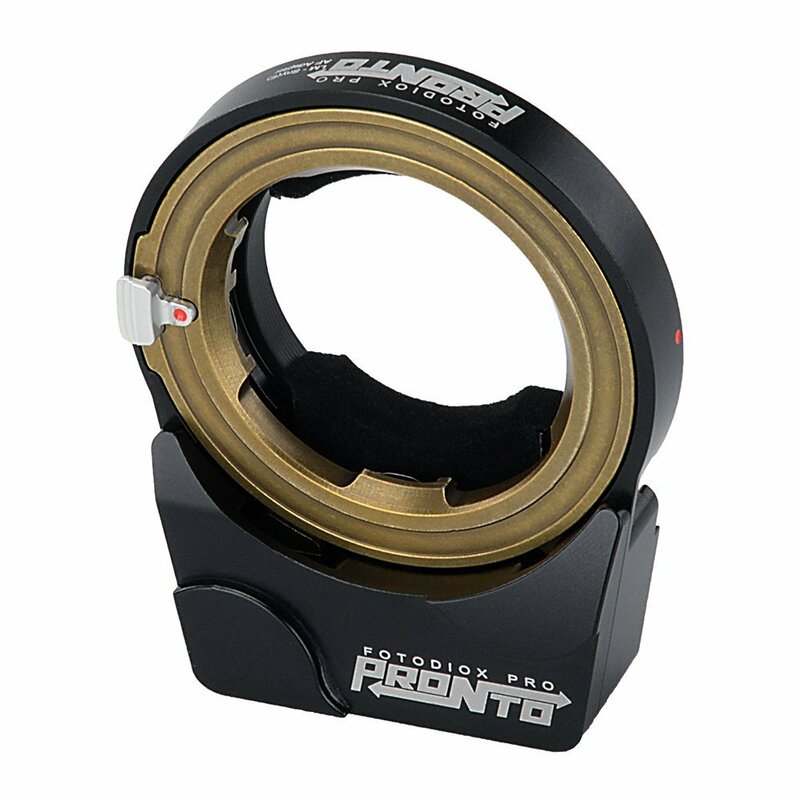 Half-press the shutter button to activate AF and the PRONTO adapter will focus your lens just like any other AF lens. Performance is optimal with 50mm and wider lenses. Telephoto optics with require coarse manual focusing before use of the adapter for fine tuning via autofocus. Improve close focusing with the Fotodiox Pro PRONTO adapter by attaching your lens and setting to the closest focus distance possible. This setup will allow you to use the PRONTO adapter as a 4.5mm extension tube with autofocus capabilities that will significantly shorten the minimum focus distance of your lens. The wider the lens, the stronger the effect will be. The PRONTO adapter has a Leica M-mount, but the options don’t stop there. With the use of additional adapters you are able to adapt nearly any lens to Leica M, attach to the PRONTO adapter and enable them to be used with autofocus. Not all adapters will work due to size limitations imposed by the motor housing of the PRONTO adapter. Please note that the PRONTO adapter has a weight limit of 907g (2lbs) for the attached lens. Although this is difficult to exceed with M-mount lenses, it is easy to surpass when using a second adapter on SLR and Medium Format lenses. In house testing and consumer reporting has shown success when supporting the lens instead of the lighter camera. * The PRONTO adapter supports AF-S and AF-C focusing. You can change the Focus Area from Wide to Center or Flexible Spot (S/M/L). Decreasing the focus area comes with a significant reduction in speed and may produce some focus hunting. Face detection is also supported. The PRONTO adapter relies on the phase detection sensors of your camera and is not intended to support contrast detection auto focus. Due to this, focusing is only possible where phase detection autofocus sensors are located and may result in differences in real world performance from model to model. Because the PRONTO adapter relies on phase-AF, not all of the AF features of your camera work; notably the Eye AF & Lock-on AF do not function properly. • The motor, which changes the length of the PRONTO adapter, will make some noise; this is normal. This noise is minimal and should not be a hindrance in most situations. 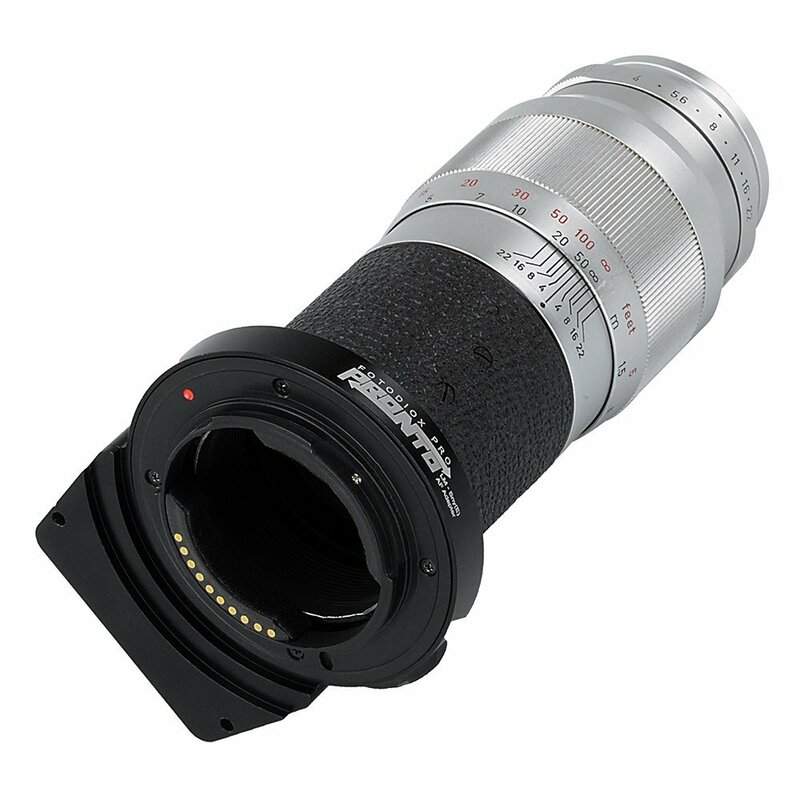 • If the adapter seems slow to respond, disassemble the lens and adapter. Clean both sides of the adapter's signal contacts with technical grade alcohol. Allow to completely dry before re-assembly. • In bright lighting situations the adapter focuses nearly as fast as a native AF lens however, in lower light the autofocus slows significantly. • The PRONTO adapter may slowly drain your camera battery even when the camera is turned off. To prevent this issue when the camera is not in use simply remove the battery briefly and insert it again. • The weight limit for attached lenses is specified to be 680g or less. Using lenses with a greater weight may result in extra strain on both the motor and the mount. This entry was posted in Leica Accessories and tagged Fotodiox LM-Sne(E) PRONTO Leica M to Sony E autofocus adapter, using Leica M lenses on Sony E-Mount cameras. Bookmark the permalink. Trackbacks are closed, but you can post a comment.